Art Primo: Blog - We Do Care! We get a lot of feedback from our peeps out there. And we want you to know that we really do appreciate it. Its so common that we get emails from kids starting with "I know you don't care but..." Hey homies, we want you to know that we do care! We really truly love graffiti and get way hyped off all you little grommets. Its so funny to hear your bragging about your exploits or how you had to "run from some s**t" or whatever other craziness you have encountered. It makes for great reading. Also, when we hear this we get a little sneak peek into what is happening in the graff world where you live. It makes us happy to know that all over the country peeps are really living the life and not just trying to rep an image. That is the difference right? One of the most primary differences between a graff writer and some run of the mill "Artist" is if you ever want to get anywhere in this game. You gotta be about it! Anyways, Here is a letter with the famous sentence! Thanks a lot little Scumbag Millionare! "I got this marker from you guys about a year back. my first real mop! oh how the time flies. 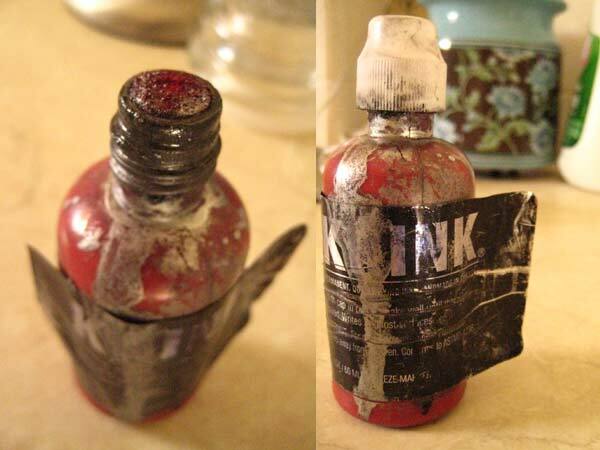 since then it's been filled countless times (pilot, pen ink, ghetto krink [tons of times], smash, and even some real krink [by some divine miracle i found a refill bottle this summer]). its interesting to see how that piece of minimalism has changed. Oh how the time flies. you guys probably dont really care, but i really just wanted to thank you for all the fun times i have had with my markers because that all comes back to you. Thanks for the quality service ART PRIMO, next time I'm in Seattle I will drop by your crummy store. still got the sticker on it to! haha way funny. Home » Art Primo: Blog » We Do Care!